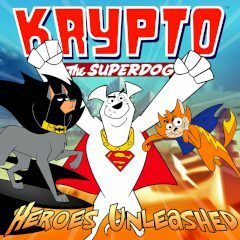 Help Krypto to clear the pass for his friend Kevin and destroy all obstacles on his way. Use your laser to get rid of puddles and bananas, destroy balls before they will reach and knock off your friend. Krypto is a super dog with extraordinary powers. He can deal almost with any kind of daily problems. Save your friend from the asteroids in the outer space and deliver him back to the planet or clear the pas for your friend Kevin to let him make it to school on time. Your super powers will allow you to deal with those problems with ease. Complete levels and see how many points you get for it!